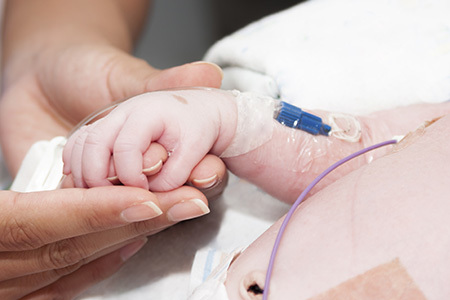 DuPage Neonatology Associates (DNA) is an independent group of Sub-specialized, Board-Certified Neonatologists who provide High Risk Neonatal services at several hospitals in three separate counties in the western suburbs of Chicago. The Group originated with 5 dedicated and compassionate Neonatologists desiring to keep Mothers and critically ill Babies together. Working together with legislators and the Illinois Department of Public Health, DNA helped develop unprecedented perinatal regulations to facilitate the availability of High Risk Subspecialists in both Obstetrics and Neonatology in local Illinois Community Hospitals. DNA Physicians are convinced that by bringing the High Risk Subspecialist into the community and making them easily available is the best way to improve the health of the Women and Children in Illinois. DNA Neonatologists believe that keeping and mother and baby together is one of the most important factors for them to have an optimal recovery. The Mother Baby bonding that occurs with in the first few days after birth can significantly affect the outcome. This Family Centered Care is one of DNA’s priorities and keeping the family together and informed is vital. DNA neonatologists will spend as much time as needed with families so they understand and are involved in all care being delivered. Since it’s inception by providing only the highest quality care DNA has grown to 16 full-time Board-Certified Neonatologists. Always striving to provide the best evidence-based care DNA Neonatologists stay involved with both national and state collaboratives such as the Vermont Oxford Network and the Illinois Perinatal Quality Collaborative. DNA physicians are also Physician leaders at their Hospitals and continue to advocate for and help institute the highest quality and cutting edge treatment plans for both Mothers and Babies.